Crunchy Almond Sandwich Cookies make marvelous edible gifts and will be the highlight of the neighborhood cookie exchange. 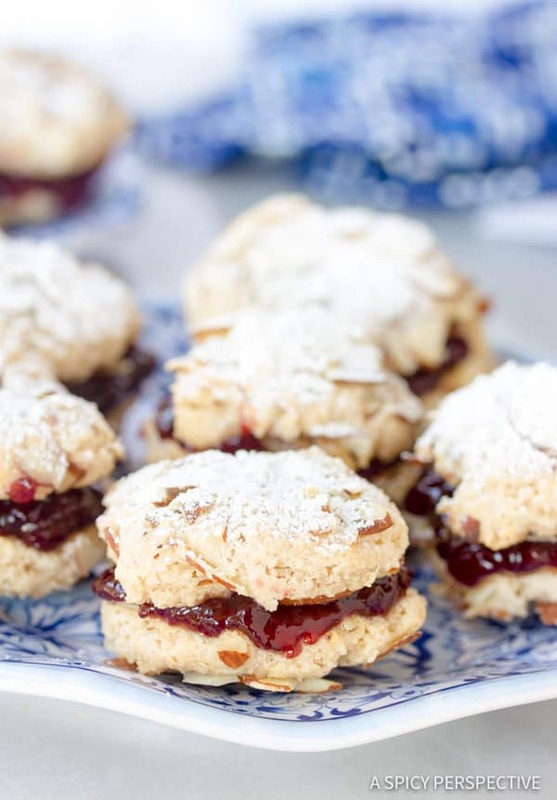 The first time I made these Almond Sandwich Cookies I was trapped in my house due to snow. We don’t have white drifts blanketing the landscape like many friends up North. Snow in the Blue Ridge Mountains is a novelty. We see it on the mountain tops. We drive up into it to ski. We even get enough in the valleys to sled once or twice each year. But drive in it? Live functional lives in it? No. We don’t do that. Our local schools had been closed four times that December, due to 1-2 inches of snow. Ridiculous, you might say, but Asheville is just not equipped to clear roads to free us from our homes! Too many people live on the slopes, meaning one patch of black ice could be detrimental. So I was stuck in my house. Christmas shopping undone. Holiday errands un-run. 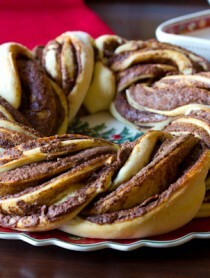 Holiday baking? That I could still do. I even have a couple school-skipping elves to help me! Cookies are magical. They provide a common bond for any group of people. They offer instant (if only momentary) bliss. They are adored by the young and old alike. Cookies are bite-sized portions of love. 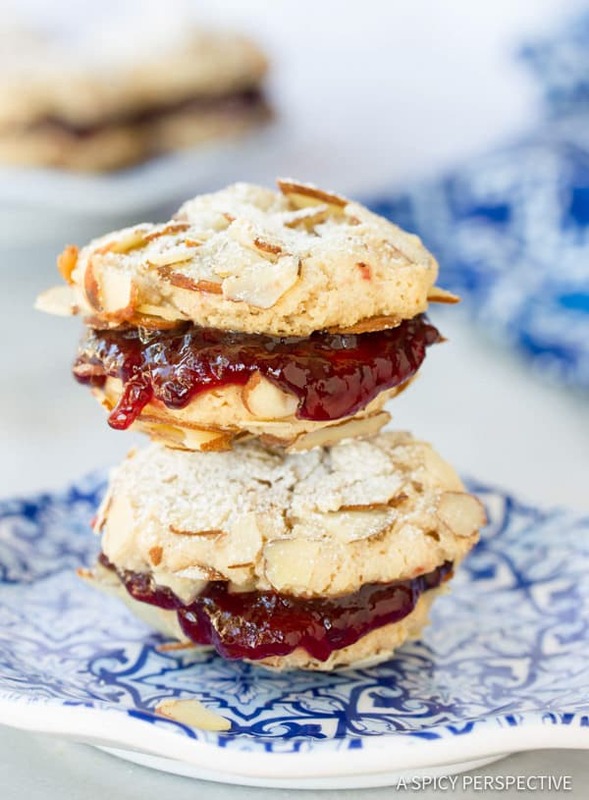 I found this particular Almond Sandwich Cookies recipe in an old Bon Appetite Magazine. After drooling over the photo I noticed they were made with almond paste instead of flour. The Almond Sandwich Cookies reminded me of the classic Amaretti cookies you find in the square metal tins this time of year. Only thinner, softer, and filled with jam. I experimented with fillings and found my family liked blackberry jam the best. The first batch of Almond Sandwich Cookies gave a random winter snowed-in day glimmer of excitement. I’ve been making them for holiday cookie exchanges ever since! 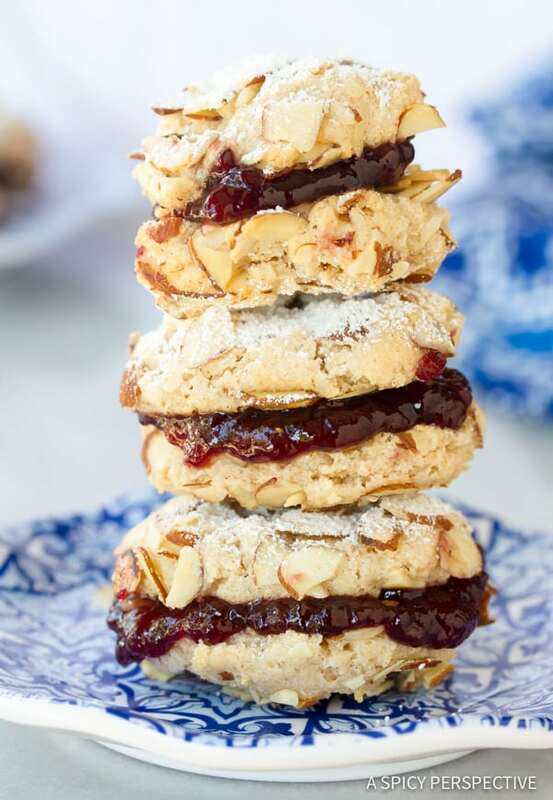 Almond Sandwich Cookies Recipe - Perfect for holiday gifts and cookie exchanges! 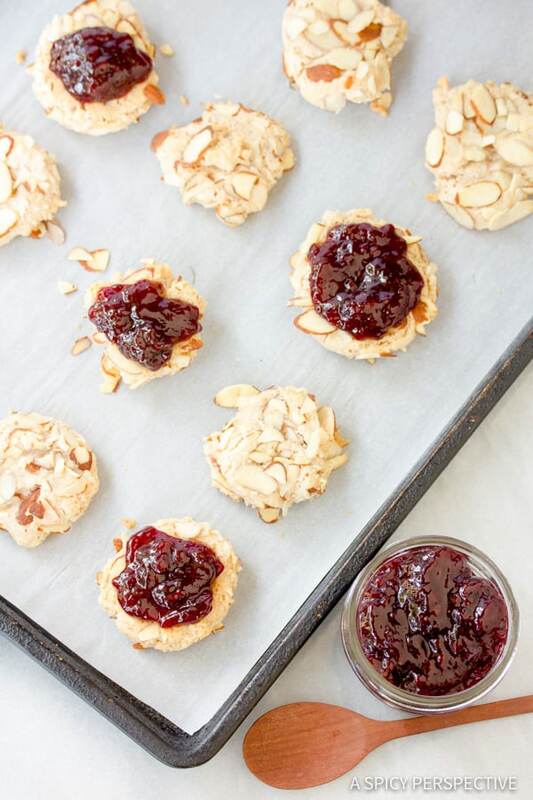 These simple almond cookies are crunchy and addictive. Preheat the oven to 350 degrees F. Line to large baking sheets with parchment paper. Break the almond paste into chunks and place it in a food processor. Add the sugar and cinnamon and grind until fine. Add the egg whites and pulse until smooth. Scoop the mixture into a large zip bag and snip a hole in one corner. If the almond mixture in thick, pour the sliced almonds on to a plate. Then squeeze circle onto the almonds. Flip them over so they are covered with almonds on both sides, then lay them on the cookie sheets. If the almond mixture is loose, place little mounds of sliced almonds on the cookies sheets where the cookies will be. Squeeze the mixture into circles on top of the little almond piles. Then sprinkle with a few more almonds. Bake for 9-12 minutes. Keep an eye on them at the end because they turn dark quickly. Allow the cookies to cool completely on the parchment paper. Then turn half of them over and top with jam or frosting. Give each cookie a top and sprinkle with powdered sugar. Looks and sounds delicious…will give it a try ! What fabulous cookies! They must taste heavenly. Those look great. I found one paragraph of the directions somewhat confusing so I edited them on a Word .doc and sent it to you for your input. These cookies I'll definitely make. I LOVE ALMOND PASTE! I know I would love the flavors in these cookies with all of the almonds! Baking is a great way to spend the day and so relaxing. I missed being able to do much of it this year because of my surgery, but I at least get to enjoy your photos! Happy Holidays! I like the title of the post, Sommer. The cookies look cute with uneven corners. Love the frosting and pictures. Those look wonderful. In the winter (well, real winter, not the fake winter of Arizona)I like to stay home and bake too. There is something so homey about being in a warm house, creating wonderful things in the oven, keeping the cold at bay. I feel so bad! Somehow a comment you left me got into my spam folder and I deleted it before I realized it was a non-spam comment! Sorry about that! :( I'm not even sure how that happened seeing as you comment pretty frequently! Delicious! Don't you love a good snow day? What a great way to spend the time. Can't wait to make these myself…would love to be doing it on a snow day, if we ever get any snow! These cookies look yummy. Love your photos too! Gorgeous cookies to bake while snowed in. 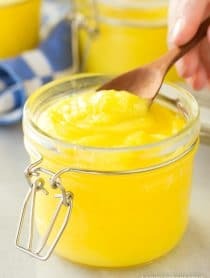 I saw this recipe this month and was thinking of trying out. Your version is tempting! Are you kidding me? These look sooo good. Beautiful cookies! These look delicious! I am such a sucker for sandwich cookies :) Days snowed in to bake with your children sound perfect to me. I live in Phoenix…so snow days are non-existent, but grew up in Ohio so I can definitely appreciate (and miss!) the joy of them! Beautiful almond cookies! They even "feel" like Christmas! I love sandwich cookies! 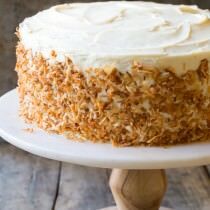 This version with the almonds (one of my favorite flavors), looks delicious, and I like the idea of using jam instead of frosting/icing. loved the flourless cookie recipe and thanks for the step by step tutorial ! So cool! (no pun intended!) YOUR cookies ARE magical! Our schools have not closed in over 100 years… and I am living in the Alberta prairies and we have heavy snows and very cold temperatures!!! But, we never close our schools, and as a teacher, it has been a real challenge to get there some days! I would love to stay home and back cookies on snowy days… and, of course, I do when I am home. There truly is nothing more "homey" than cookies in the oven with snow falling outdoors. 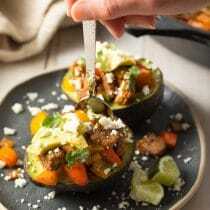 Love the recipes and the photos! Those do look fantastic. I need to go back through my magazine because I don't remember seeing them! Being snowed in is the perfect reason to bake! I love those days… Beautiful cookies – I love almonds so I'm sure they would hit the spot! Your cookies are snow-capped too :) I can't believe they've canceled school so many times for so little snow, but I guess if you don't have the means to clean it all safely, then that's just life. At least your kids can help you bake! Have a great holiday! Baking is an excellent way to spend a snow day. Oregonians are the same way! If we get 1/2 an inch of snow on the roads everything shuts down. These cookies sound great. I love how you prepare them on the parchment paper. Almond overload! Oh Dear….that sound surreal…Here at La, la, la, land it doesn't even look like xmas time. I went to the beach last Sunday. Can you believe that? Your cookies look amazing, pretty pictures too. These are awesome and I can just tell how wonderful they taste. I love almondy cookies like this! Even better with some raspberry jam. I am buzzing them because they look so great. BTW, your description of NC in the snow makes me giggle. I lived in Vancouver and it was like that too. An inch of snow shut the whole city down because no one knows how to drive in it! You are certainly right. Bake keeps your mind occupied so you don't think about everything that needs to be done. I know that the weather there is pretty harsh. Hang in there and bake! Gosh – these cookies look so good. Love almonds!! I know that this would happen to us if it snowed in Austin. We just don't have the equipment to handle the snow! But I don't think we will be getting any of that white stuff…we are warm and dry right now…and I'm enjoying it! But I do miss those Colorado afternoons when snow would keep me in my kitchen baking away. Thank you for sharing with me..these almond treats look amazing! You make me smile. Schools closed 4 times already? That is pretty funny. They make us get the kids to school in all kinds of weather. Sometimes we just keep them home, because it is to dangerous to get out. Hasn't happened this year yet. What wonderful looking cookies. I just bought some fresh baking marzipan yesterday. I will take the recipe with me to try. Thanks! opps typos… in my comment above, i mean cookies… i think it's Freudian slip… i'm not a baker myself that's why haha! Indeed cooking are magical.. just by mere looking at these photos make me feel warm inside haha.. sory to hear about all the mishaps but these baking is really comforting! So sorry to hear you're snowed in, but hey, I'll take some of that snow over here in sunny SoCal! I'm a Boston native in need of some weather! These cookies look like just the thing to keep me inside all day, too. Yum yum! Thanks so much for sharing. I hope you're having a lovely day and a nice start to the holiday season! I bet that kids are satisfied because schools closed! Those wonderful cookies are additive, really! I am the same way… or I was on Sunday when we were having a lazy, cold, snowy day… I was feeling restless so I baked. Your cookie sandwiches look wonderful! Those middle latitudes suffer the most in the winter. Asheville might be the perfect storm: hilly roads, the snow is typically preceded by a bit of frozen rain, and you get just enough snow to cause trouble, not enough to get folks to invest in snow removal equipment. I still remember a 1/4 inch of snow paralyzing Atlanta. Wow! Those look so wonderful! I have been dreaming of sandwich cookies too! 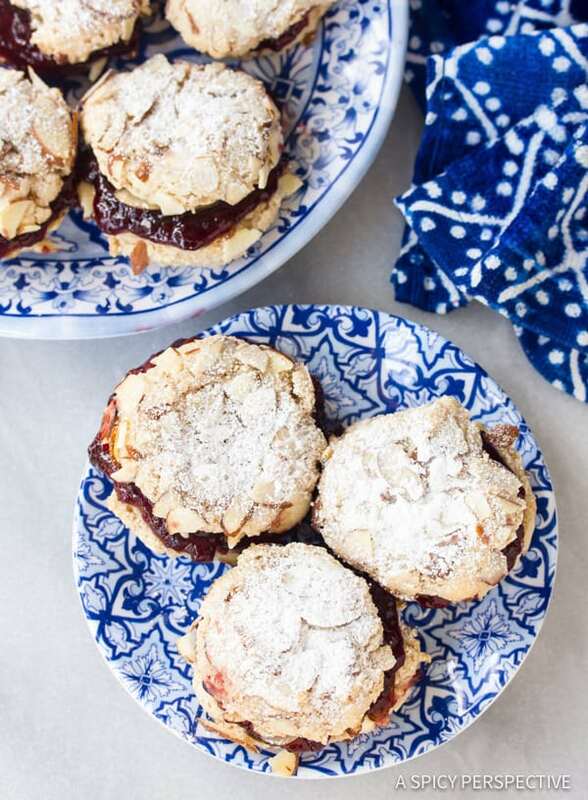 These are so lovely with almonds and the jam filling, excellent treats! Oh, my these look delicious!! Knoxville also shuts down for a dusting of snow :) We are used to driving in it (being from MA and PA :), but this morning we are coated in a about 1/4" of ice so we won't be going anywhere for a few hours! 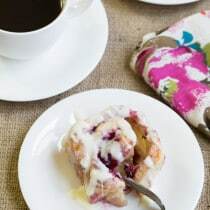 Time to catch up on blogging and then any extra time will be spent baking! Sometimes it's nice to be forced to stay at home! Asheville's beautiful in all kinds of weather. And the cookies look great even without the powdered sugar and jam! I wouldn't mind being stuck at your house. It's doing some ice thing here too! I am so impressed- very cute and sounds delish! 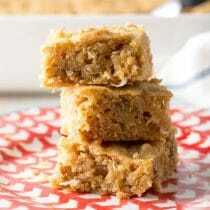 Roxan~ Almond paste is very similar to marzipan, but it has a higher percentage of almonds and a little less sugar. You could use marzipan if you needed, but your batter would be a little runny. Cookies are indeed magical. 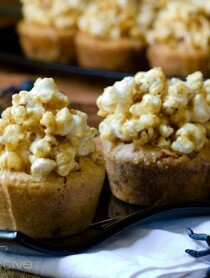 I'll have to try these with my favorite raspberry jam as a filling. Your cookies looks fabulous!! It's nice sometimes to be trapped at home because of snow, and bake such wonderful treats!! yum! I love anything almond flavored. I was looking at your recipe – is almond paste the same thing as marzipan? I am not a cookie expert..it's incredible but thru blogging I discovered cookies mean so much in USA & Canada…while in other countries, Arg, France they are just "just another thing"…Yet I love them, and I appreciate the photos bec I would have never thought to make them like that!! I hope snow melts soon, and you are able to do your Xmas shopping !!! (that's the most exciting thing!!) No, truly speaking, what I love the most is planning the menu…!